Obituary for DARLENE J. 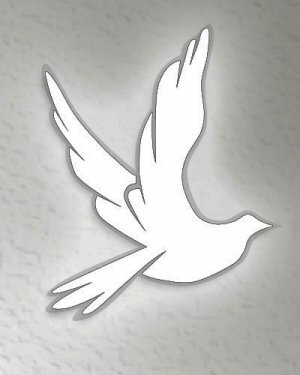 (WILKINS) DRENNING | Stanley J. Krish Funeral Home, Inc.
Darlene J. Drenning, 83, a resident of Homewood at Martinsburg, formerly of Altoona, went home to be with the Lord with peace and grace as she passed away on Wednesday at UPMC Altoona after a brief illness, surrounded by her family. She was born in Altoona, daughter of the late Thomas and Helen (Herschel) Wilkins. On June 28, 1952, she married the love of her life, Norman C. "Red" Drenning Jr. at Mardoff Methodist Church, and her adoring and loving husband preceded her in death on Sept. 2, 2017. She was a selfless mother, and is survived by her three daughters: Cindy (Steve) Replogle of New Enterprise, Pam (Morey) Lawruk and Beth (Bill) Ceglar, all of Altoona; a son, Tim (Sandra) of New Enterprise; nine grandchildren: Mandi, Casey, Morey, Rachel, Hannah, Isaac, Macenzie, Jacob and Lucas; five great-grandchildren: Riley, Logan, Braden, Lucy, Emma; and a sister, Sharon Bookhammer. She was preceded in death by one brother; and three sisters. Darlene was a Graduate of Altoona High School. She was a caregiver to all around her and followed her passion into nursing. She retired as a Nurse’s Aide from Home Nursing Agency after 16 devoted and faithful years of service. Darlene was truly a servant of God and lived such a graceful and happy life. 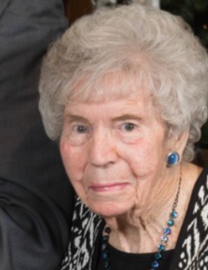 She was a member of Member of Grace United Church of Christ in Altoona since 1952. She was known as a "second mother" to many neighboring children and nieces and nephews. She will forever be remembered and cherished as a loving mother and grandmother whose greatest passion and delight was her family and helping others. Darlene enjoyed attending events of her grandchildren, sitting outside on her porch, and getting her nails done. She will be missed by many. Friends will be received from 2 to 5 p.m. on Sunday, June 3, 2018, and from 10 to 11 a.m. on Monday, June 4, 2018, at Stanley J. Krish Funeral Home Inc., 1204 17th St., Altoona, where a funeral service will be at 11 a.m. on Monday, Lay Pastor Al Holtzinger officiating. Interment will be at Blair Memorial Park, Bellwood. In lieu of flowers, the family request memorial donations be sent to Homewood at Martinsburg Auxiliary.